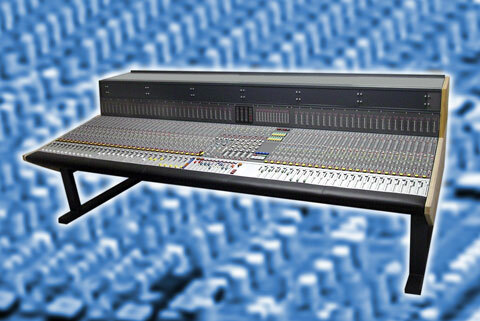 The 5MT Broadcast console series offers the maximum in sonic excellence, reliability and extensive features. Mono and stereo input modules, stereo and 5.1 surround, 36 master rails, 11 aux sends, VCA and cut groups in several levels as well as extensive monitoring and fold back facilities are standard. And as usual at adt-audo, special modules for the 5MT Broadcast Console System based on your designs are possible. adt-audo broadcast mixing systems are best choice for radio and tv live broadcasting. 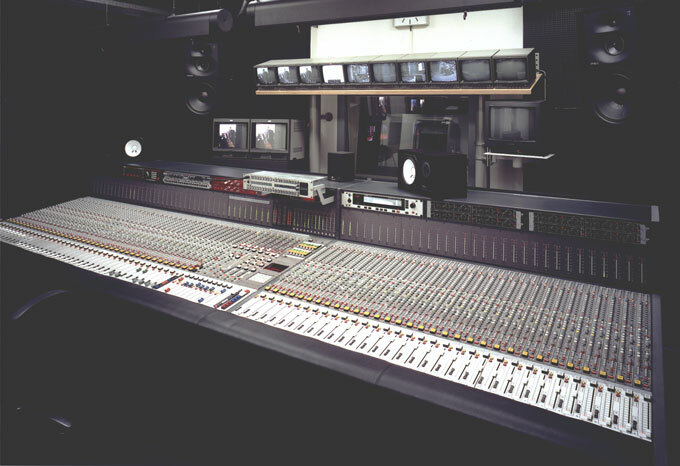 Consoles of this version are used at Viva TV cologne - the German MTV. Both German late night shows are produced on 5MT BC systems. Another mixing desk at QVC cable tv station is on air for 24 hours a day, 7 days a week. The IO5-S35 is the most versatile input module of the 5MT Broadcast Console series. It can be applied as a mono input with microphone and line preamplifier or as a group master. The system has a total of 36 master rails. For stereo arrangements, these master rails can be configured as 2 stereo masters, 8 audio groups and 24 multifunction groups. They can be used as audio groups as well as for sends and monitoring. As every IO5-S35 can be an input channel or a group channel at the touch of a button, a 64 channel console arrangement for example, can be switched in various combinations of inputs, sub groups and masters. The IO5-S35 disposes of extensive processing capabilities. A high pass low pass filter, 4 band EQ with 3 fully parametric bands, an additional high eq and a full featured compressor/ expander are standard processing features. The EQ and dynamics make it possible to apply effective signal processing quickly. The IO5-S36 is the stereo version of the IO5-S35. All modules are available in versions for stereo, 4 channel surround and 5.1 multi channel formats. Several master sections are available. The S3-master section has additional stereo effect returns, compressors, direction mixers and extensive monitoring, record and talkback functions. Master sections are available for stereo, 4 channel surround and 5.1 formats. Alternatively the master sections of the G series can be used. Extensive VCA and cut group functions are available in numerous variants. These functions are so extensive that in a lot of applications, a snapshot automation system is not necessary. Several cascaded group levels can be combined to make it possible to switch over to another console setting and toggle between several settings at the touch of a button. The mixer frames of the Broadcast series are custom manufactured according to the customer's needs. The installation of remote control devices, talkback systems, keyboards, producer's table and several types of patchbays are available. 19-Inch frames can be integrated in the frame and the meter bridge.